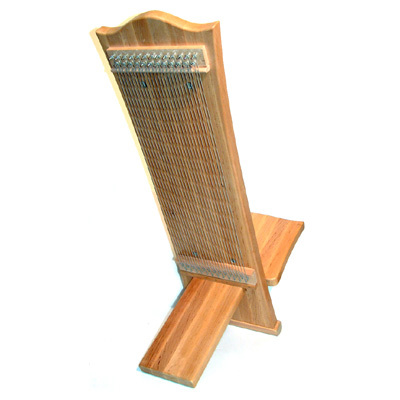 Based on an African Chief's Chair, the monochord sound chair provides a therapeutic instrument that gives you a sound massage. An instrument you can sit on for wellness, therapy and relaxation. It has 25 strings which run down the back, effectively being in contact with all the chakras and can be tuned to the chord or chords of your choice. This instrument is easily disassembled and compact for storage and transport. The chair is made of Alder with a Beech foot. It measures height 100cm x 38cm wide x 80cm depth.